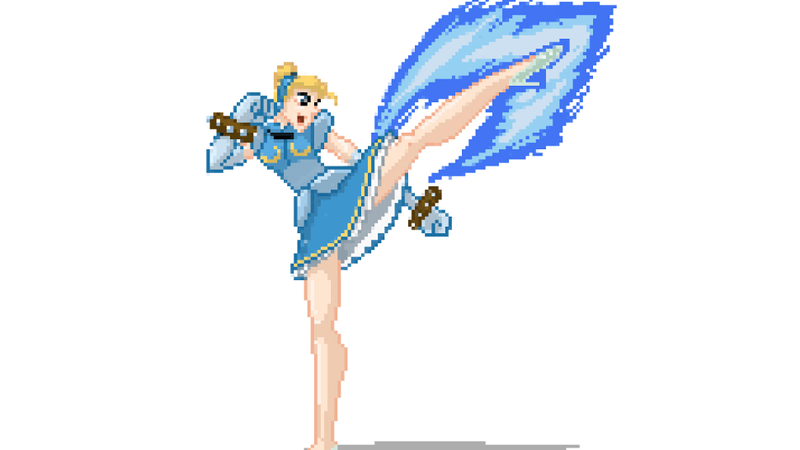 Yes, that's a Chun Li x Cinderella mash-up. Oh, there's more—artist Mike V took the ever-iconic Disney princesses, and re-imagined them as many of fighting game characters we know and love. Not all of these are Street Fighter characters, but, check 'em out. Pay attention to the stances, which are the main nods to what fighting game character they're mashed up with (but sometimes you see it in other subtle details).